The prevalence of chocolate eggs and chocolate bunnies in the supermarkets here in the UK can only signal one thing: Easter is upon us. With the emergence of daffodils, buds appearing on trees, lambs frolicking in the fields and warmth seeping back into the northern hemisphere, the cold winter months are over. Of course, it is not just in the western world that the arrival of spring, new life and new beginnings are celebrated. 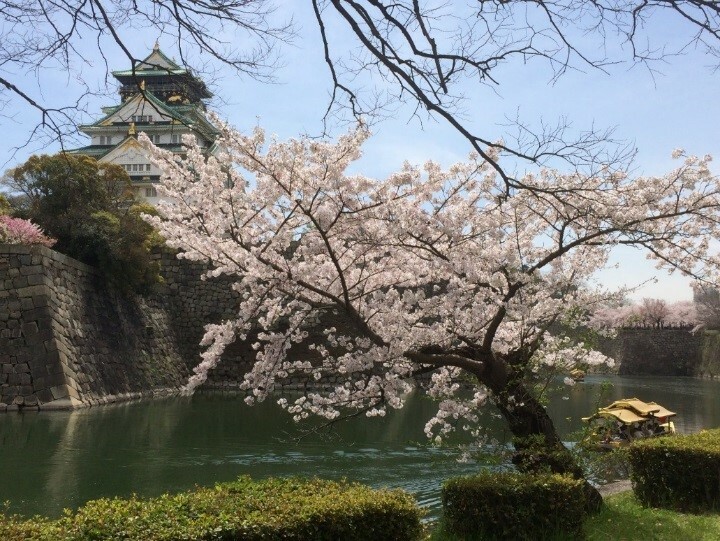 In Japan, a country I had the pleasure of living in for a year and a half whilst on secondment in our Tokyo applications lab, the spring period is marked by the celebration of hanami (花見), or “flower-viewing”. This is a tradition that is believed to have started in the Nara period of Japanese history (710-794 AD), and originally focused on ume (梅), or plum blossoms, before sakura (桜), or cherry blossoms, became the focal point of the festivities. The arrival of the sakura marked the beginning of the rice-planting season and they were originally used to predict the year’s harvest. Offerings were made to the kami, the gods believed to live in trees and rivers, and sake was shared and drunk. Indeed, this is encapsulated in the proverb hana yori dango (花より団子), or “dango more than flowers”. Dango is a traditional sweet treat made from rice flour and consist of three to four dumplings on a skewer. There are many different varieties, using different seasonings and flavourings, and they are eaten throughout the year. 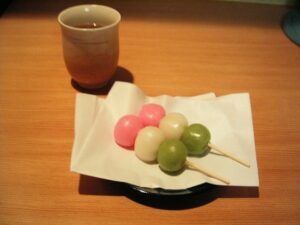 There is a special hanami dango, consisting of three colours (pink, white and green) which is traditionally made for the which is traditionally made for the sakura-viewing season. 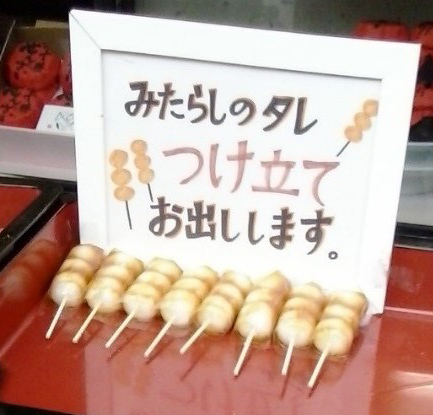 Another type of dango is coated in toasted soybean flour, kinako. Soybean derivatives are used throughout Japanese cooking, including miso paste: a savoury, umami-rich flavouring used in many dishes – and also a sample I happened to measure on the Mastersizer 3000 during my time in the Tokyo applications lab (it turns out that some people have a preference for a smooth consistency whereas others prefer a coarser texture – the former naturally requiring a paste containing finer particles). Then there are the anko-coated versions (anko is the sweet bean paste omnipresent in Japanese sweet treats), and, of course, green-tea flavoured dango, called chadango (茶団子). 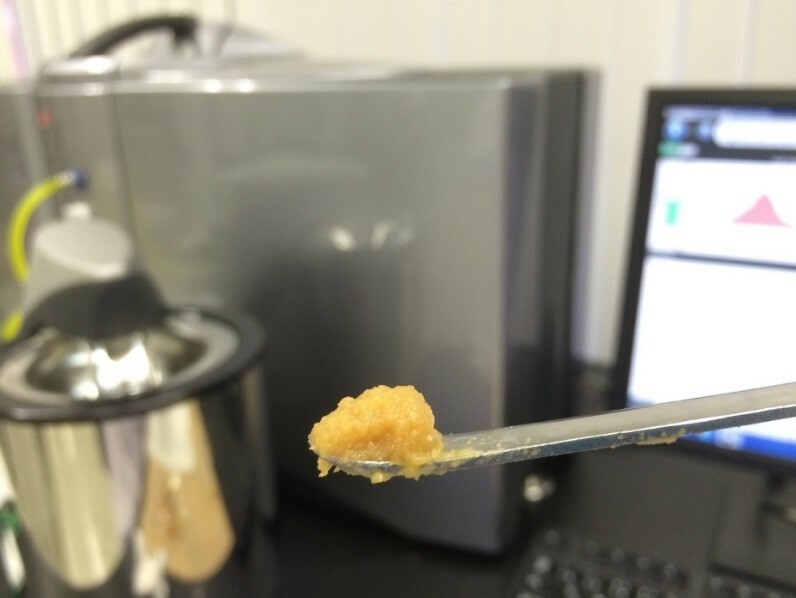 As noted in a previous blog, green tea powder was another sample which made its way into our applications lab (where a high degree of circularity is desirable for good flowability, and a fine particle size leads to a smooth and rich taste). 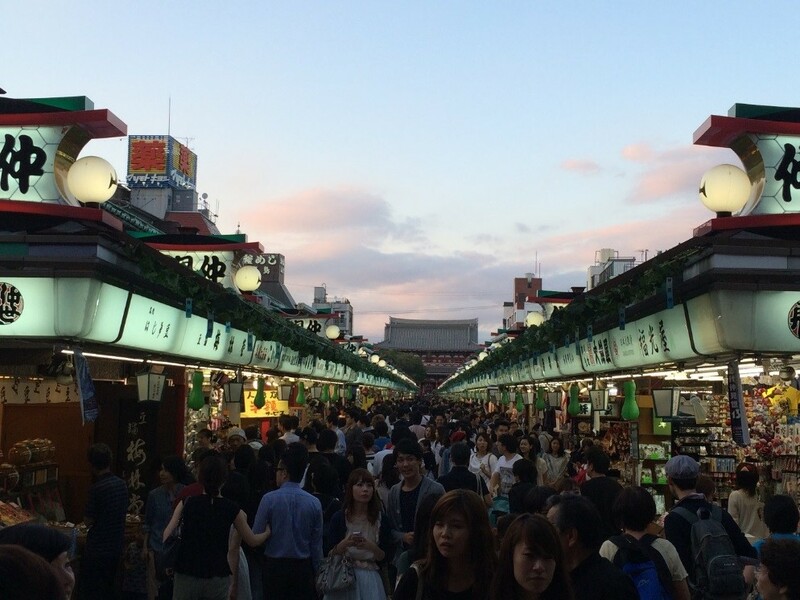 My first sampling of dango was from one of the market stalls which line the route to the famous Senso-ji temple in the Asakusa district of Tokyo. It was a mitarashi dango, and to the untrained, Western-eye, the dumplings looked coated in syrupy-sweet sauce. And, indeed, it was syrupy…but not as sweet as I was expecting: I later discovered that as well as containing sugar and starch, one of the syrup’s key ingredients is soy sauce, or shōyu – the first, but not the last, time I came to realise that western palates are somewhat more accustomed to a higher degree of sugar in their diet (the vegetable doughnut incident being the other memorable occurrence…). Soy sauce is one of the key flavourings used in Japanese cuisine and so it is probably not surprising that some powdered samples of it cropped up in the applications lab for feasibility testing whilst I was there. The most common manufacturing method involves mixing steamed soybeans with roasted and crushed wheat, before combining with koli mould spores which will induce the fermentation process. Brine is blended into the mix, which is allowed to mature before filtration and heat treatment, prior to the final inspection and packaging. As with any manufacturing process involving the mixing and blending of dried products, the size and shape of those raw materials govern how easily they will blend and combine: particles too fine will lead to clumping, whilst irregularly shaped particles will be subjected to greater interlocking and frictional forces. Following the production of the soy sauce product, it can be further processed into a powder form, as was the case with our samples. The samples we studied on the Morphologi G3 in our lab were soy sauce powders which had been manufactured using different processes, at different temperatures. Those manufactured from the same process were clearly identifiable from their size and shape distributions. 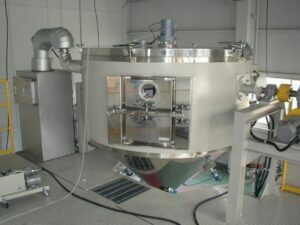 Spray-drying is a technique commonly used in the food industry (amongst many others, including the manufacture of pharmaceuticals and ceramics), prized for the stable, narrow size distributions and high circularity of the particles it generates. This enables the manufacturer to have greater control over their process, making it more efficient and cost-effective. In contrast, the use of a Continuous Vacuum Dryer (CVD) does not yield such easily processable powders, with a greater degree of coarse, irregularly shaped particles produced. However, the use of a vacuum environment enables a lower drying temperature to be used, which reduces heat-induced degeneration of the ingredients and helps to preserve the flavours gained from the soy sauce manufacturing process. Therefore, as is often the case, there is a trade-off between the ease with which the powders are processed, and the quality of the product produced – and one in which the analysis of particle morphology can at least assist in determining the optimum balance to strike. Wherever you are in the world, and whatever you are commemorating and celebrating, you can be sure that food and drink will play a central role in the festivities. And behind the manufacture of so many of the foods we consume is the science of materials characterization, ensuring we get the taste, texture and enjoyment we desire – kanpai!